If you have a wet basement in Auburn, NE, you will lose living space and ruin personal possessions. Your wet basement will become a breeding area for mold and mildew to grow. 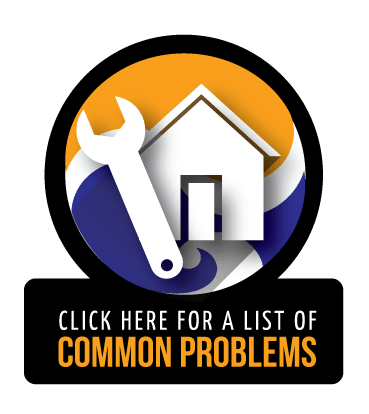 Other signs of water problems include paint peeling, musty odors, rotting wood, and a chalky substance on the wall. Jerry's Waterproofing offers interior and exterior waterproofing along with sump pumps and battery backup sump pump systems. These services can protect your home from moisture seepage and remove any water that may be present in the basement. If you have floor cracks or ceiling cracks in your Auburn home, we use underpinning products to repair your foundation. Our repair products include steel push piers and helical piers. 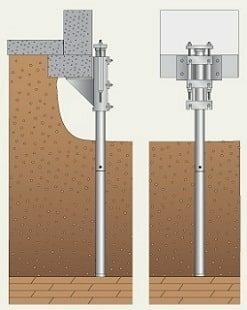 These piers are driven deep into the soil through the unstable soil layers until they reach a solid soil layer. Each pier is then load tested and the weight of the structure is hydraulically lifted onto the piers to level and stabilize the structure. Helical tieback anchors are used for bowing or leaning walls. These tieback anchors will pull the wall back to its original position and they will also strengthen the wall so that it will not bow or lean in the future. All of the products we use for foundation repair and basement waterproofing for Auburn are manufactured by Earth Contact Products (ECP), the leader in the manufacturing of foundation repair and basement waterproofing products in the industry. 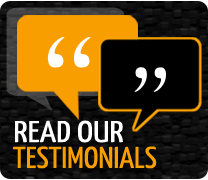 Jerry's Waterproofing provides additional services such as radon mitigation, egress window installation and crawl space repair in Auburn, NE. Radon Mitigation/Testing: We test radon levels in the home. If levels are high, we use radon mitigation to lower radon levels. Egress Windows: We use Bilco's Stakwel and Bilco's Scapewel window well systems. Both products meet building code requirements for egress and provide a dry, safe living environment in basements. Crawl Space Repair: We turn wet crawl spaces into dry ones with crawl space encapsulation, sealing, and recovery.